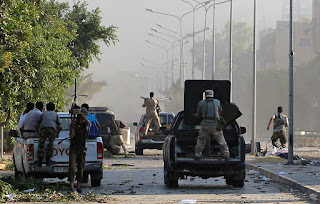 Over 120 people lost their lives ever since Libyan military commander launched an assault on the capital 10 days ago, igniting clashes with rival militias, the U.N. health agency said Sunday. 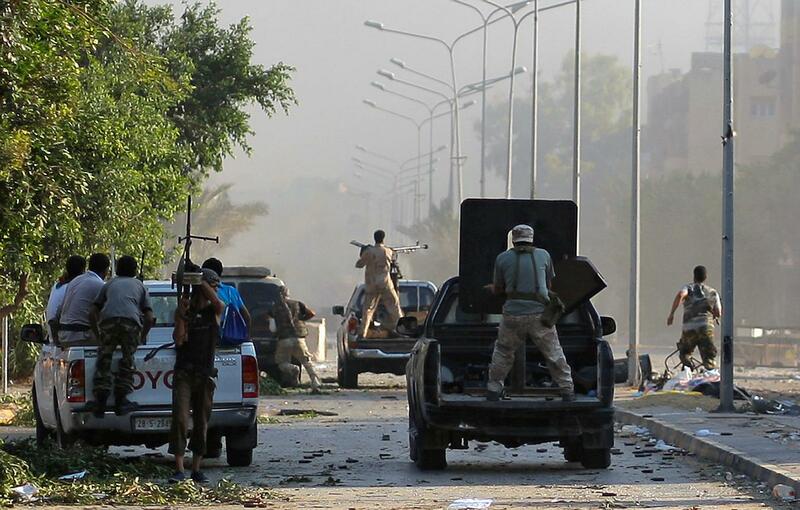 UN says over 120 killed since fighting broke out in Libya. Libyan National Army, led by Field Marshal Khalifa Hifter, launched a surprise offensive against Tripoli on April 5 and is battling rival militias loosely affiliated with a weak U.N.-backed government. According to World Health Organization reports, 121 people have been killed in the fighting and another 561 have been wounded. It did not specify whether they were fighters or civilians. U.N. envoy Ghassan Salame said a school was bombed in the town of Ain Zara, around 15 kilometers (9 miles) southeast of Tripoli, without saying who was responsible. Both sides have carried our airstrikes in the town, and a spokesman for the Libyan National Army said it has stepped up airstrikes on its rivals in the past two days. Hifter has vowed to unify the country after years of chaos following the 2011 uprising that toppled longtime dictator Moammar Gadhafi. He has led previous campaigns against Islamic militants and other rivals in eastern Libya, and has received support from the United Arab Emirates, Egypt, Russia and France.